Dominic and Katherine met in chemistry class during their sophomore year of high school. Dominic would always make Katherine laugh during class, and they would run into each other at church every Sunday. Their friendship blossomed into a romance during their senior year of high school, and they dated for a few months before going to separate colleges. 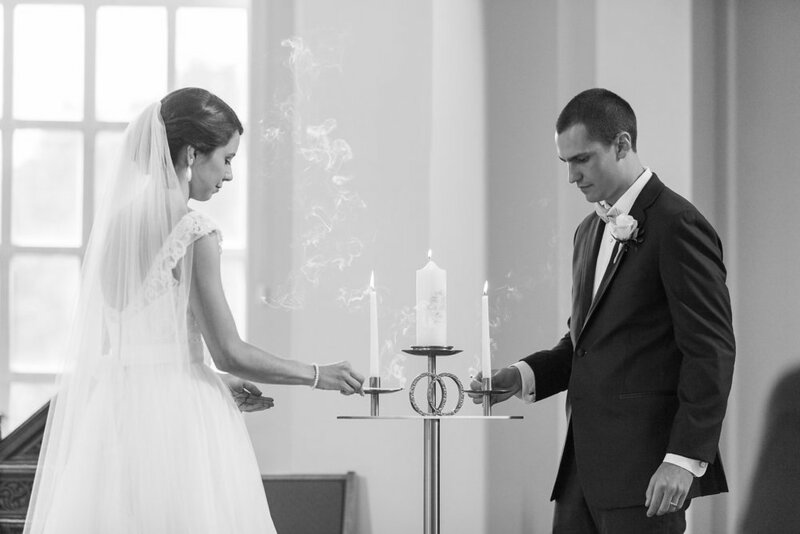 While in college, their relationship continued to grow, and so did their faith. Katherine would often pray for their relationship at Seton Hall's Chapel of the Immaculate Conception. 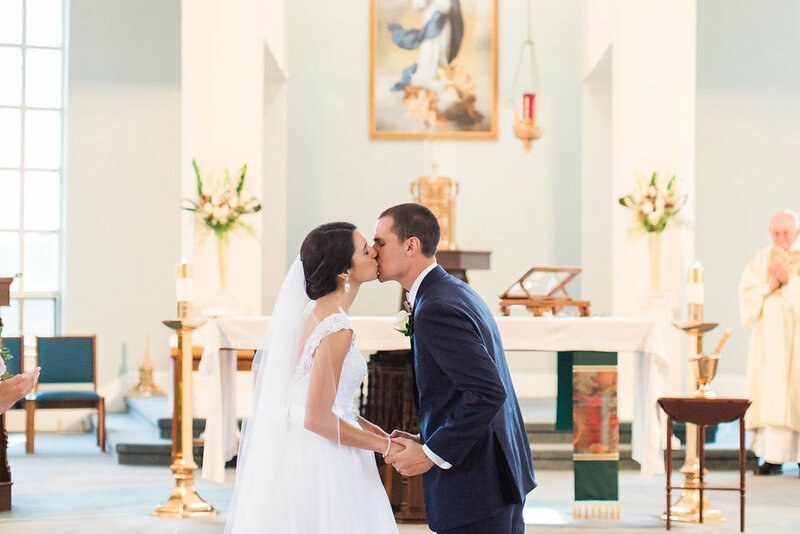 Dominic proposed to Katherine in that very same chapel where she had prayed for their relationship so many times before, following a homily comparing the facets of a diamond to the community of believers within the Catholic Church. 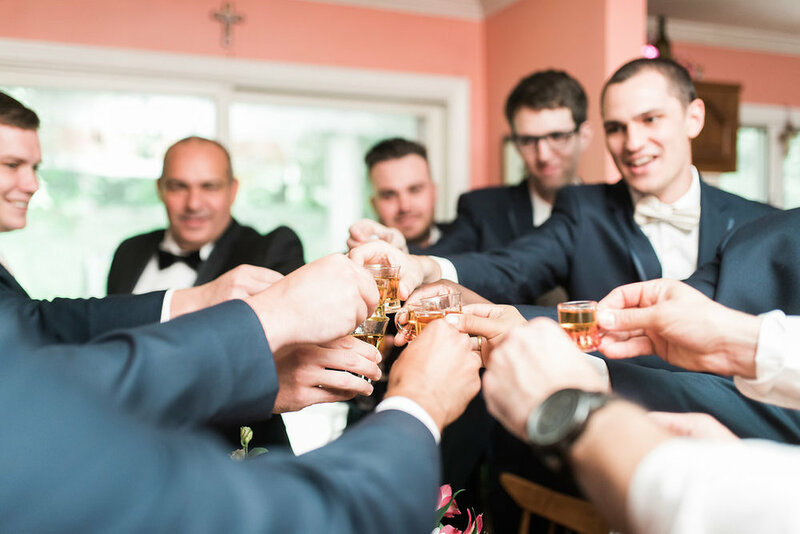 Both Dominic and Katherine felt through these details that God's hand was truly on them as they took another step towards their vocation of marriage. 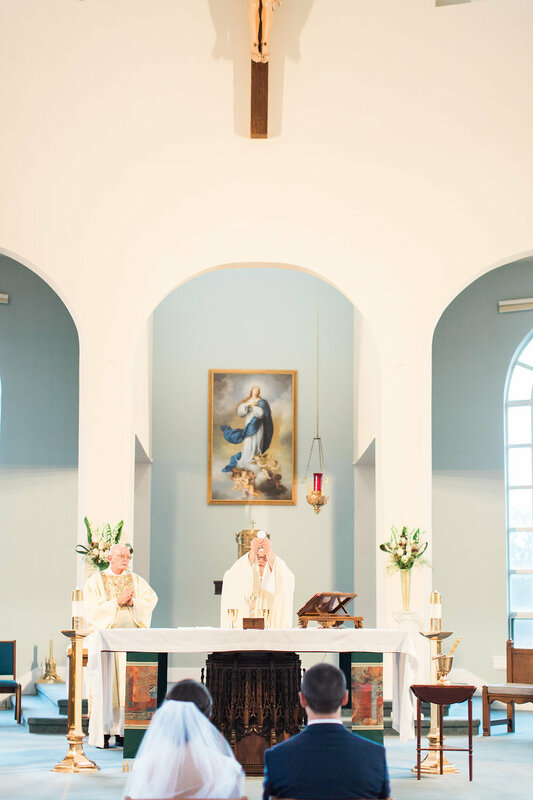 The nuptial mass took place in Katherine and Dominic's home parish, Immaculate Conception Church in Annandale, New Jersey. Dominic's uncle is a deacon and he preached a beautiful homily tying Dominic and Katherine's relationship to the readings they had chosen. 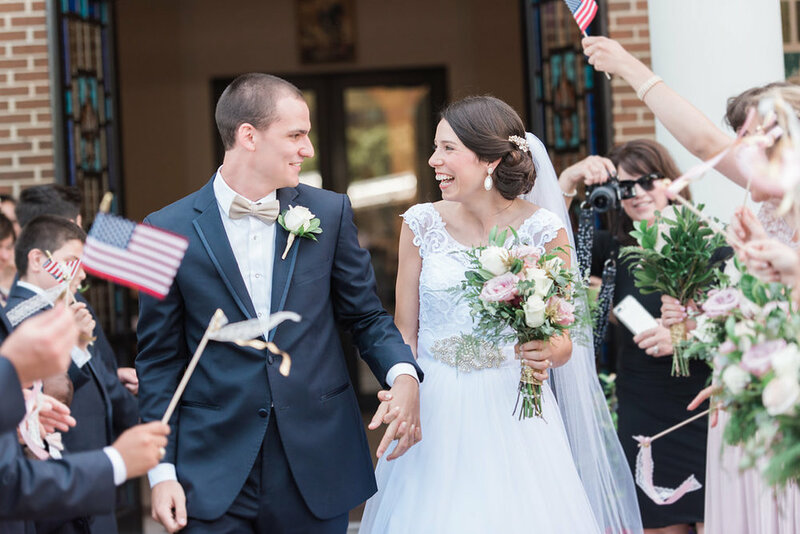 As Dominic and Katherine made their grand exit following the nuptial mass, the guests had blush, gold, and lace ribbons as well as American flags to wave at the couple. 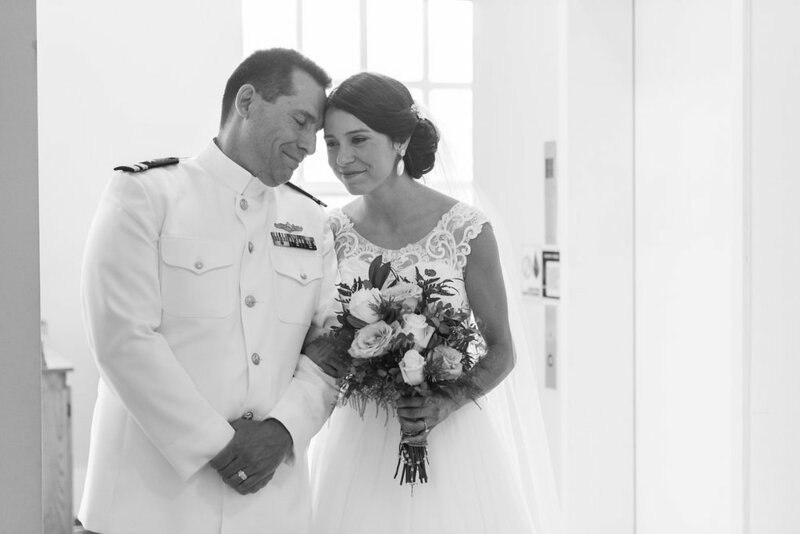 Katherine's father is in the Navy, and the wedding took place on 4th of July weekend, so they thought it was fitting to mix in their American pride into the elegance of their wedding. 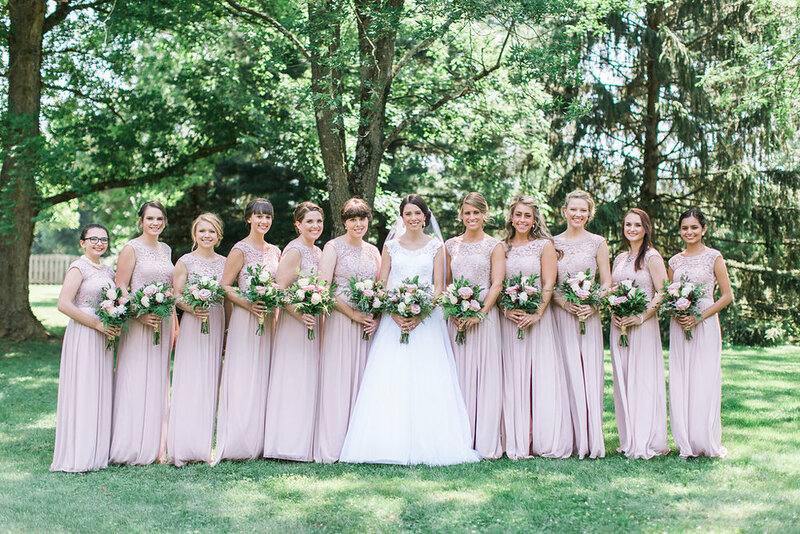 The reception took place at David's Country Inn, a charming old mansion that made the fairly large wedding feel quite intimate. 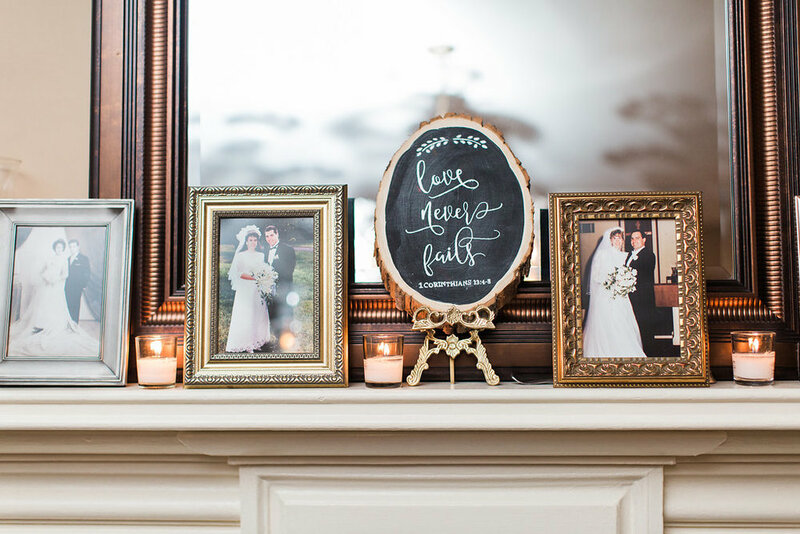 At the cocktail hour, there were photos of the bride and groom's parents and grandparents on their wedding days, as well as photos of loved ones who had passed away, accompanied by Bible verses. Instead of a traditional guest book, Dominic and Katherine asked guests to sign their first family Bible. 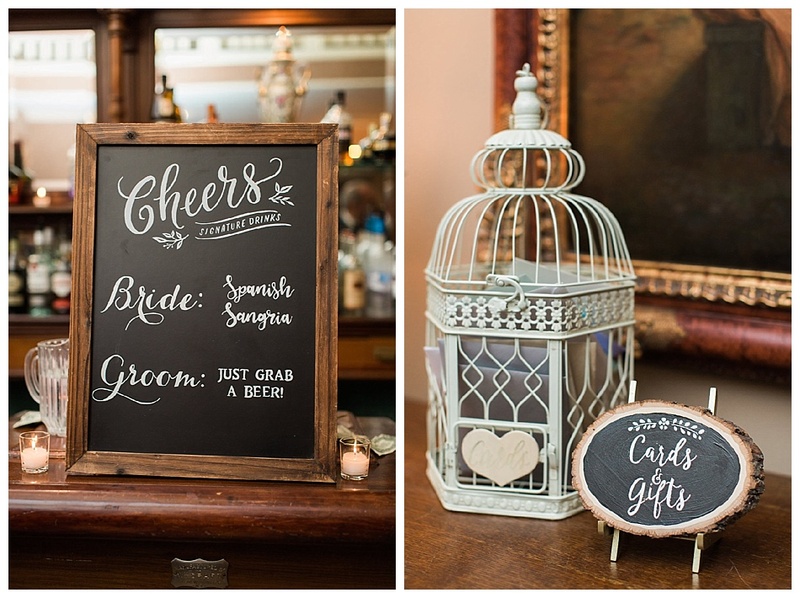 The couple decorated the tables with photos of their various stages of life and their relationship. The dance floor was crowded all night long as family and friends danced and laughed the night away! 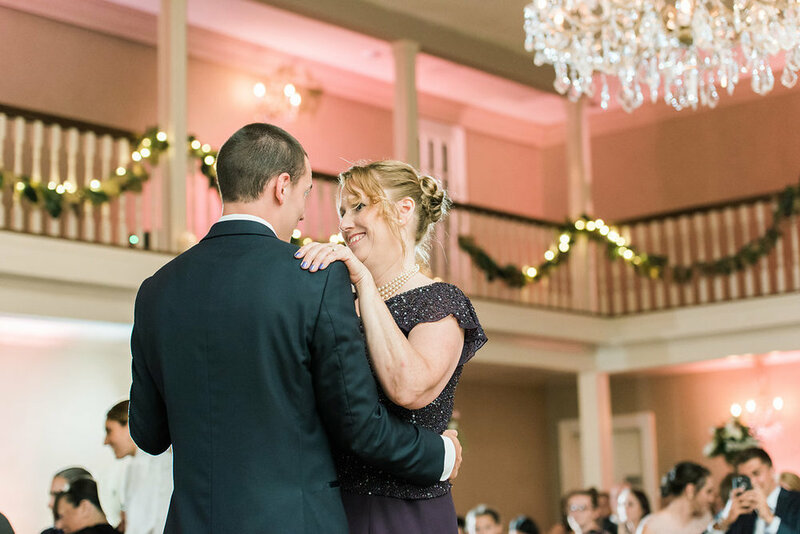 From the Bride: Our spiritual takeaway from our wedding day was that God is in all of the details of our lives. God has made his presence known to us throughout our relationship, and our wedding day was no exception. We felt the presence of the Holy Spirit so deeply in all of the details of the day. We felt God's presence in the gifts we gave to each other (Dominic gave me a crucifix ring, I gave Dominic my purity ring and a miraculous medal, since he has a special devotion to Our Lady), in the mass through the readings and music we had so carefully chosen together, and in the joy and love shown to us by family and friends at both the ceremony and reception. We prayed for our wedding day for so long, and on that day it was clear that God had heard our prayers, and that He would be faithful to us as we began our vocation of marriage together.